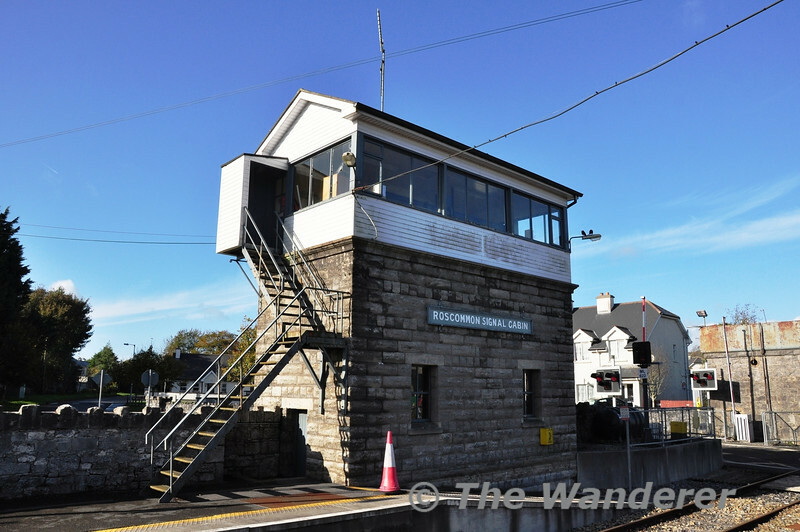 Pictures from a trip to Westport and Ballina. 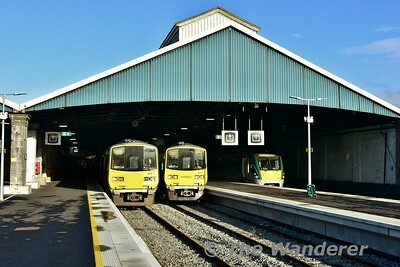 An afternoon visit to Portarlington Station to photograph 086 on the 1130 Waterford - Westport Timber and 4 car Premier Class 22033 on the 1525 Heuston - Limerick. While in the area of Cherryville today, I stopped off at the Jct. for photos of up and down Cork services. 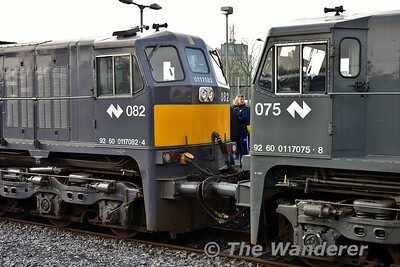 While waiting for the delayed 1920 Galway - Heuston I managed to expose a couple of images at Portarlington. Pictures from Portarlington, Heuston and a LUAS Tram failure at Abbey Street. Pictures of the various West of Ireland freight trains which operated today with pictures from The Curragh, Killenard, Portarlington & Tullamore. Pictures from Charleville on the Engineering Works which were carried out at the Station on this day. Pictures later in the day are from Mallow, Banteer and Killarney. A couple of more Kerry Line pictures at Minish, Yellow Quarry and Ahane No. 2 Level Crossing. Stored 3ICR 22014 was moved from Laois Train Care Depot to Inchicore Works for wheelset attention on Tuesday 26th November 2013. 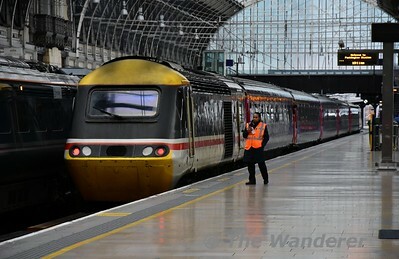 As 22014 cannot be started it had to be hauled up dead in train by 22051 at 35mph. The 1320 Laois Depot - Inchicore movement is pictured passing Cherryville Jct. 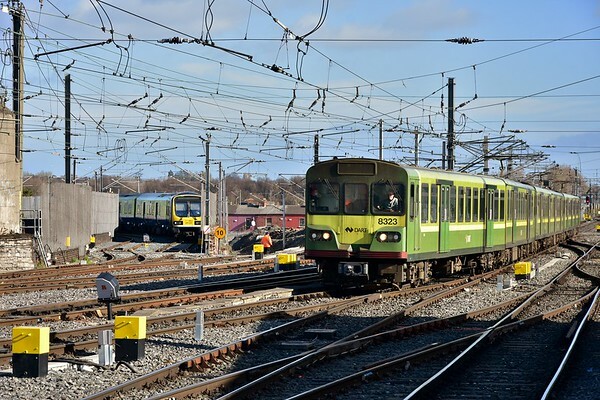 With the Inchicore Wheel Lathe full to capacity this week, Limerick requested could they send 2803 + 2804 to Laois Train Care Depot for wheel turning on their lathe. Lunch time pictures from Ratheven on the outskirts of Portlaoise. Later that night has one picture from Heuston Station. A visit to the Iron Bridge at Sallins.